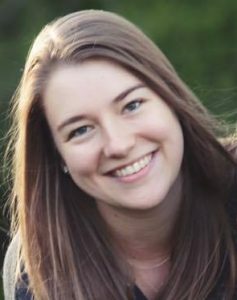 Julia Peterson has joined the GraceConnect.us team as newsletter coordinator. In that capacity, she’ll be writing stories, selecting links of interest, and coordinating the production of the GraceConnect eNews, a free weekly newsletter that shares news and information in the Charis Fellowship (Fellowship of Grace Brethren Churches). Julia’s byline is not unfamiliar to GraceConnect. In 2013, as a college sophomore, she interned at GraceConnect and wrote numerous stories under her maiden name, Julia Marsh. She is a 2016 graduate of Grace College and also works as assistance coordinator at Seven Corners, Inc. She and her husband, Josh, live in Roanoke, Va., where he is the pastor of Washington Heights Grace Brethren Church. Julia replaces MariJean Sanders, who has worked with GraceConnect since 2013. MariJean, who worked part-time from home, has resigned to spend more time with her two-year-old daughter and her new baby, who is expected early this year.